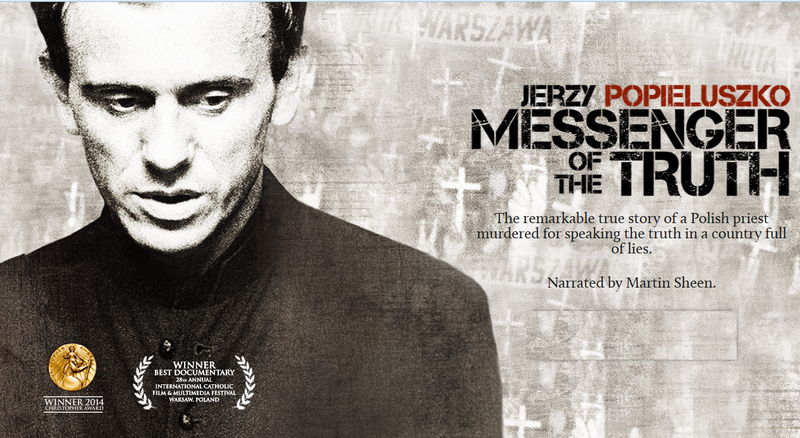 Join us for an exclusive screening of the award-winning documentary “Messenger of the Truth,” which tells the story of Father Jerzy Popieluszko, the Roman Catholic priest martyred by the Polish Communists for advocating freedom of religion and political reform. By serving as chaplain to the fledging Solidarity Movement, Fr. Jerzy helped to crystalize the anti-communist sentiment in his native Poland. His death sparked a national nonviolent reform movement that eventually dealt a mortal blow to communism’s rule of terror. Fr. Jerzy’s life stands as a testament to the strength of conviction and the courage of conscience. The film’s Executive Producer, Gary Chartrand, will speak about the film and its importance. Mr. Maciej Pisarski, Deputy Chief of Mission at the Polish Embassy in Washington, will also attend and offer brief remarks. Proceeds from the event will benefit the building of the International Museum on Communism. To learn more about the documentary, visit the Messenger of the Truth website. The Victims of Communism Memorial Foundation (VOC) is located on 300 New Jersey Avenue, NW # 900, Washington, DC 20001. It is a non-profit educational and human rights organization devoted to commemorating the more than 100 million victims of communism around the world and to the freedom of those still living under totalitarian regimes.